Who is the typical Cool Roof client? What types of existing roofing systems are Cool Roof Systems installed? 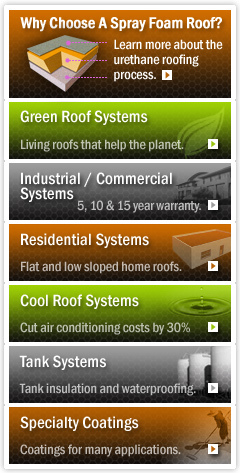 * Cool Roof Systems are not and should not be sold as new roof systems. The degree of waterproofing depends on the roofing system below the Cool Roof System. The sole purpose of Cool Roof Systems is for both reflectivity and emissivity. With a Cool Roof System in place, you can expect a far extended service life of the existing roofing system, reduced energy costs, and reduced maintenance cost.